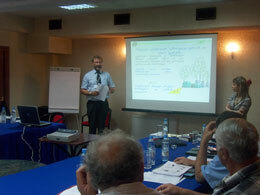 EEC Georgia in cooperation with the Norwegian company ENSI International has started the implementation of a new project "Financial Engineering for Small Hydropower stations in Georgia". The programme is initiated with support of the Norwegian Ministry of Foreign Affair with the main aim to increase local capacity building on financial issues. 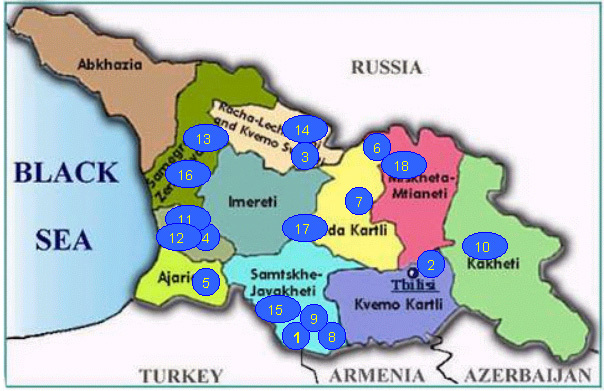 The programme is aimed at project developers and owners of Small Hydro Power Plants in Georgia, in particular within rural areas, agriculture and agro-processing and in the manufacturing industries. 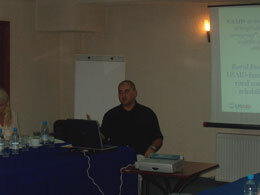 The project consists from the Information seminar and three training sessions, that will be held with the intervals of 1-1, 5 months in the period started from September 2006, where specialists and managers will be trained in how to develop Business Plans for small scale hydro power stations. The Financial Engineering programme was started with an Information Seminar at 21.06.06 for 42 participants from financial institutions, energy authorities, SHP owners and SHP developers (see pictures). 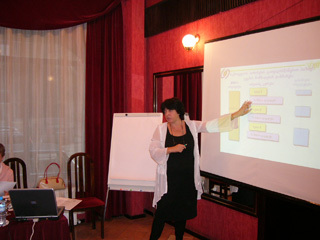 The participants with the most suitable projects ate invited to participate in the full programme. 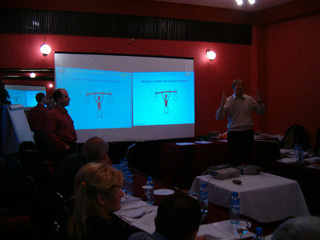 At the three training sessions, each lasting for 2-3 days, EEC and ENSI consultants give lectures, organize exercises and hold individual consultations with each project team. 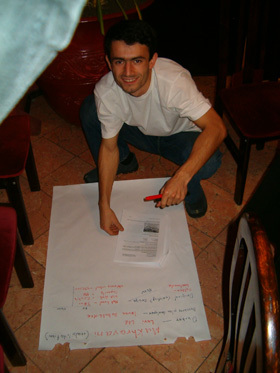 In between the sessions the participants continue the development of their project based on skills obtained and advice given at the previous session. EEC will assisting and supporting, as well as pushing to ensure agreed progress at the same time as their personnel is further improving their skills and experience. 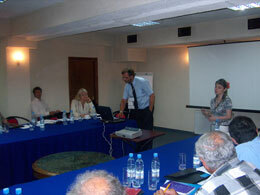 Norwegian-Georgia Capacity Building programme on Cleaner Production and Energy Efficiency. 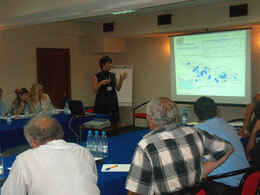 On 26-28, September, in the conference hall of hotel “Vere Palace”, Energy Efficiency Center Georgia (EEC) together with ENSI – Energy Saving International AS, Norway, was conducted the first training session on " Financial Engineering for Small Hydropower stations in Georgia”. 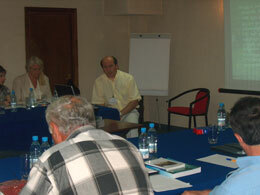 29 participants had attended to the session. The Fund would be established at one or two commercial banks to be selected under the tender basis. KfW hopes that loan administration, selections and monitoring of projects would be fully done by the local banks, but it expects that local capacity and understanding of SHP projects is rather low. Mr. George Naskidashvili awarded to participants credit conditions of the Bank of Georgia and expresses the interest to invest small hydro projects. 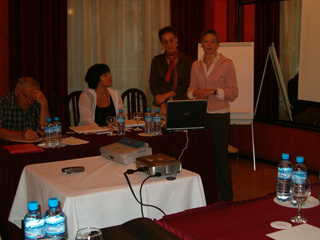 The participants were interested in program and at the end of seminar all of them made the ten minutes presentations reflected the main details of their projects. ( see picture with SHP’s locations and list of projects owners/promoters companies). All documents are available in EEC office. 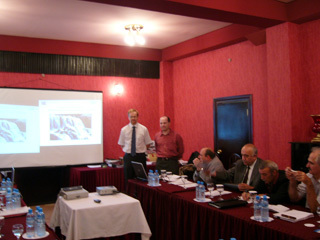 Mr. Sergei Faschevsky – “Financial Engineering for Small Hydropower Plants in Georgia” project manager from Norwegian companies – ENSI International presented to participants the home work to be prepared for the following training sessions. Mr. Orjan Teigen, Project manager, ENSI- Energy International AS Aims and objectives for the Financial Engineering programme for Small Hydropower Projects. Mrs. Manana Dadiani, Renewable energy Expert , Energy Efficiency Centre - Today’s status of the SHP developments in Georgia, Energy Law amendments. 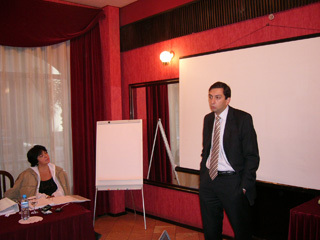 Mr Sandro Menabde - Tbilisi Aircraft manufacturing - Local Hydro Power Turbine Manufacturing. 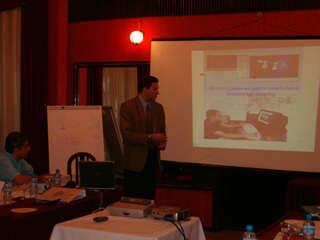 Mr. Sergei Fashevsky – Project manager, ENSI - Energy International AS. 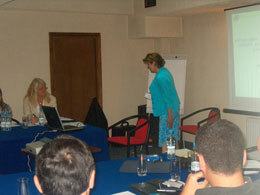 Business planning presentation. Mr. George Naskidashvili awarded to participants credit conditions of the Bank of Georgia and expresses the interest to invest small hydro projects. 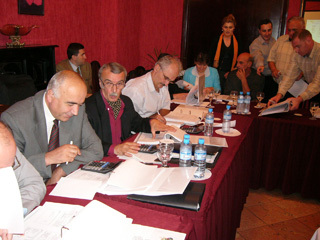 Trainees during the exercise calculation. 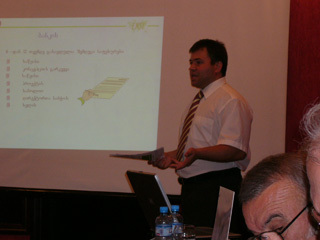 2 Patara Tetrikhevi SHP David Megrelishvili Impulse Ltd. 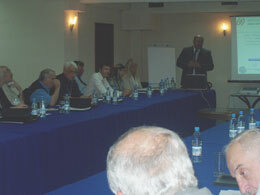 The second session was planned to organize for 28-29-30, November 2006.